I made the mistake of buying a TV in 2018. This isn’t a big deal if you don’t really care what kind of TV you want – they are abundant and extremely cheap – but of course this process took me a week. The 2015 Vizio M50-C1 I have had for a few years has been generally very good. It does 4K adequately well, and has plenty of inputs for anything I could throw at it. But, because it is an early 4K TV it doesn’t do HDR and has some HDMI limitations. 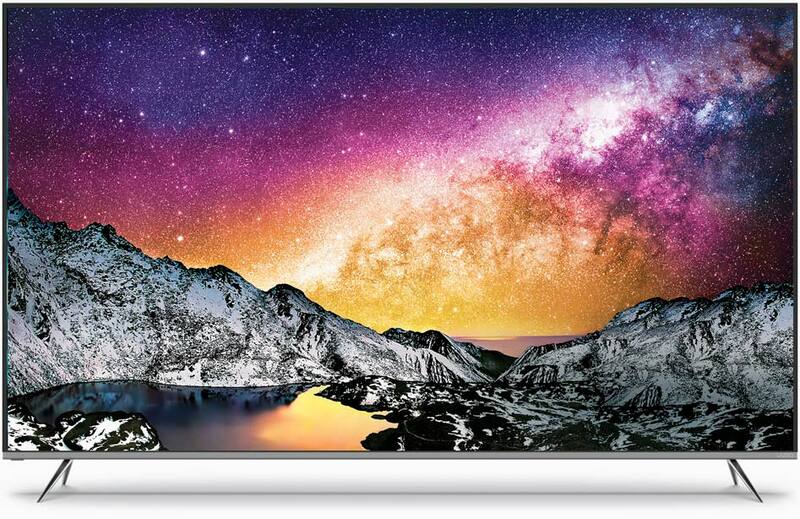 Then last week I found a great deal on one of last years OLED TVs from LG, which threw me into a tailspin. For a while I figured that the next TV I would upgrade to would be an OLED. My iPhone X screen is an OLED and I really like staring at it all day, every day. A gigantic panel of this sort of amazing screen would great, right? Well, sort of. After doing some research about OLEDs I found a few flaws that I don’t think I could handle – especially if I was planning on spending $1300+ on “the ultimate TV”. First, the OLED panels are too “fast”, which creates some weird motion smoothing problems with slow panning content. Second, OLEDs are not great at dealing with image retention. This will definitely be a problem when I play games with a persistent onscreen UI. One thing I didn’t expect to be a problem is the amount of HDMI ports that support HDMI 2.2. HDMI 2.2 means that sources can output 4K/60hz/HDR content. Many of the “high end” LED TVs out there, like the Sony X900F only have two ports that support HDMI 2.2. Of course, I have 3 things I would need an HDMI 2.2 port with (PS4 Pro, Xbox One S, Apple TV 4K). Ok. So I need 5 HDMIs, and at least 3 of which need to be able to do HDMI 2.2. After spending a few days digging around, looking at all sorts of TVs from anyone that sells them, I found that the TV that best fits my needs is the new 2018 Vizio P55-F1. Based on the details about the 2017 model, this will do everything I’ve been looking for (HDR, plenty of 4K/60hz ports), while still looking as good as possible for an LED. Vizio got slapped with a fine back in 2017 for spying on users/selling their data without consent. This sort of thing is basically unavoidable at this point, but as a precaution I have always had my TV’s MAC address blocked through my router.